Eliza beth Lee Beck is a tough, no-nonsense litigator. A graduate of Yale Law School and the University of California at Los Angeles (UCLA), she received her bachelor’s degree in pure mathematics with high honors. Prior to law school, Beck taught in the public schools of South Central Los Angeles and Compton, where she developed the persuasive techniques that she uses today in the courtroom. After Yale Law School, she practiced at Quinn Emanuel Urquhart Oliver & Hedges, LLP — one of the top litigation firms in Los Angeles — where she represented clients including Samsung Electronics, KB Home, Mattel, and K-Mart. She left Los Angeles to join Coffey Burlington, LLP, where she worked with prominent Miami litigators Kendall Coffey and Robert K. Burlington, before founding Beck & Lee. 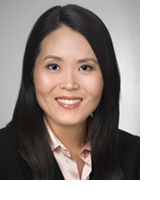 Beck is vice-president of the Korean American Chamber of Commerce of South Florida, and active in the Dade County Bar Association. She is a member of the Florida and California Bars. Additional information can be found at the law firm website at www.beckandlee.com.